Behold the Meaty Goodness! 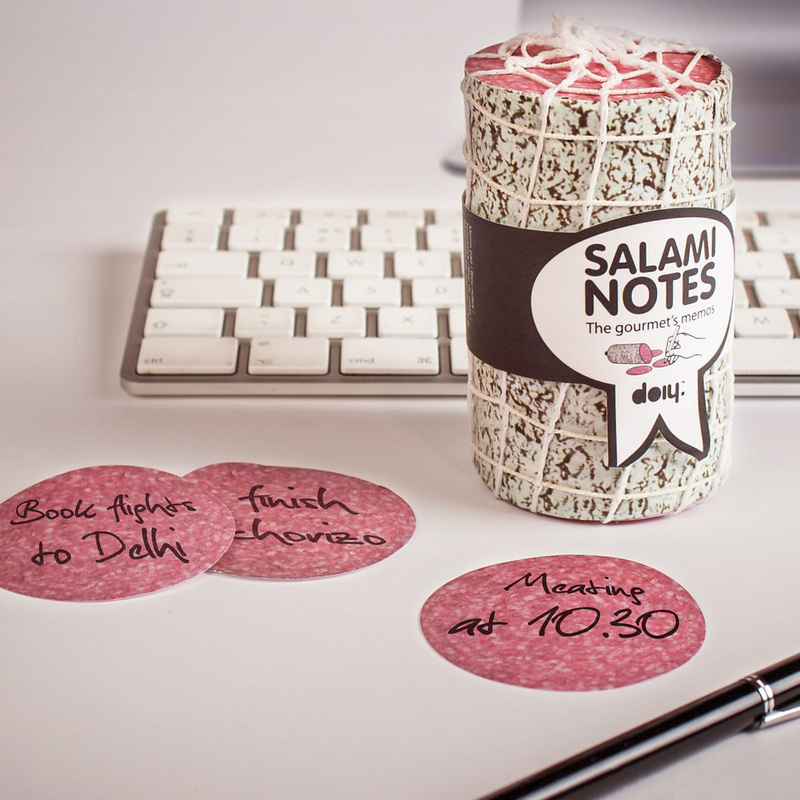 Salami Notes for Memory Keeping. 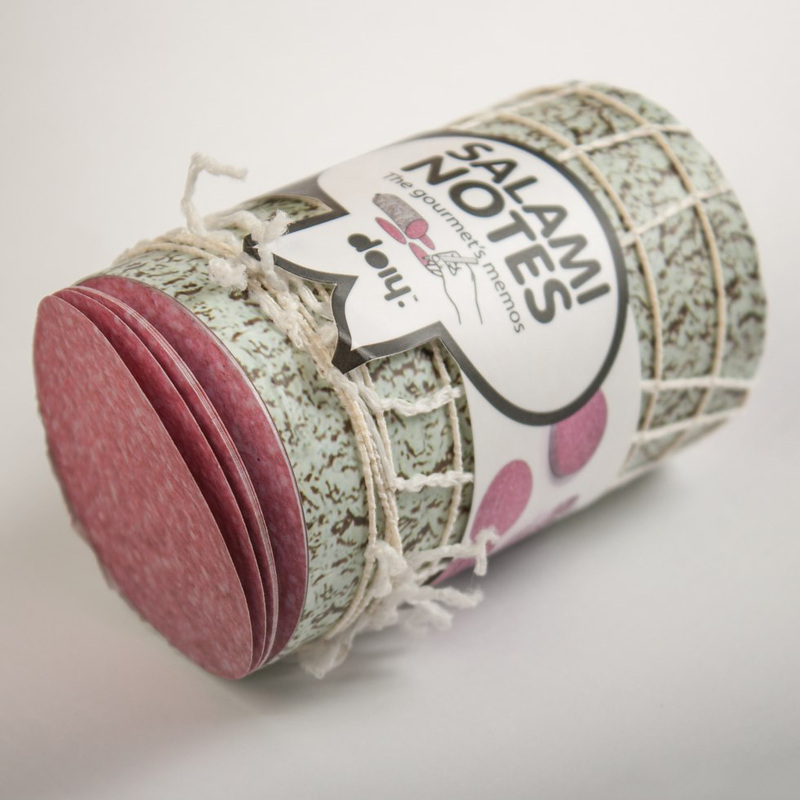 There is something ridiculously great about “Salami Notes“. Why use a simple Post It note when you can peel off a slice of meaty goodness, scrawl your message and leave behind the tasty morsel. Hiop Salami Notes are the “Gourmet Memo” according to the label and package, which is designed to look like a tasty Italian cured meat product covered in rind and wrapped in string. I know what I’ll be getting people for Christmas. Posted in Food, General and tagged Design, Meat, Meaty, Paper Goods, Paper Products, Pork, Post-It Notes, Salami Notes, Sausage on November 5, 2013 by Author. ← What if Wacom Built a Tablet Computer? They Are.